I have a plethora of cosmetic bags that I have accumulated over the years. When it comes to travel though, I like to keep it simple with just a bag or two. They have to match, of course, as well. In searching to make a purchase, I came upon the great website featuring Stephanie Johnson bags. 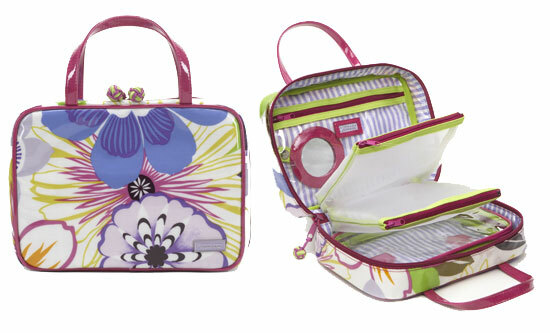 Stephanie's bags are basically made for travel, and many of them offer the same print. Simply select the bag you want, then the pattern, and it is yours. Simple! I am happy to have settled on two bags. 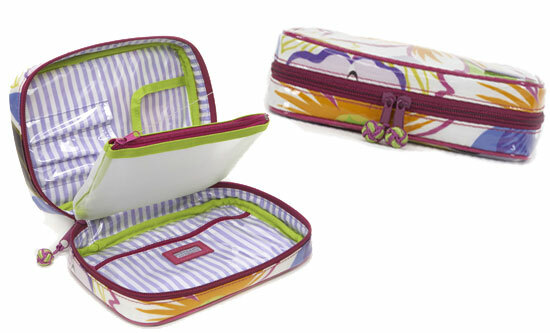 One is a large cosmetic case called the ML Traveler and the other is a bag for brushes and cosmetic accessories called the GIDGET Compact Brush Case. Luckily, they were both available in my print of choice, Palm Beach. CHeck out Stephanie Johnson and all her great bags and how fun and easy it is to sort of customize your needs by style, pattern and collection.